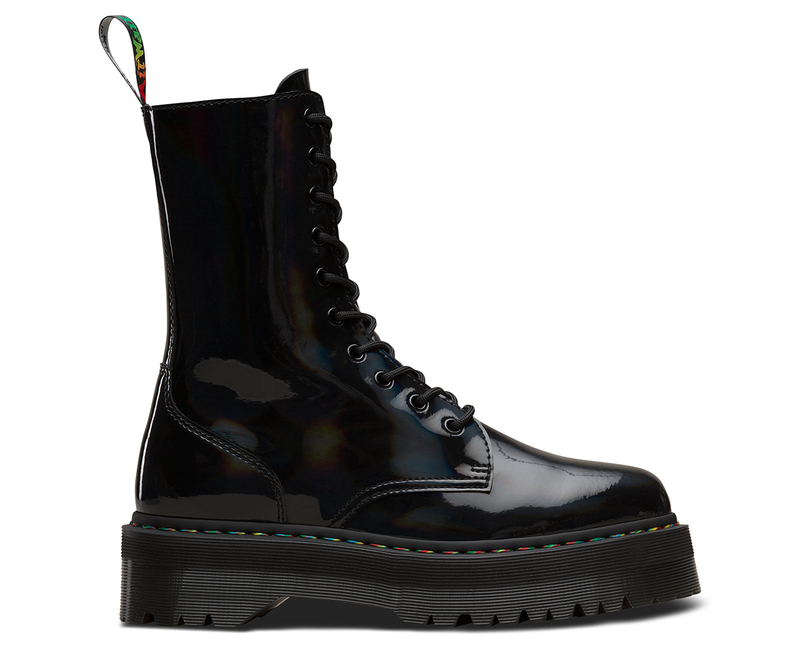 The Jadon boot is a fierce evolution of our iconic 8-eye boot, with a super-chunky platform sole and a rugged commando tread that brings a tough, extra-empowering vibe to any look. 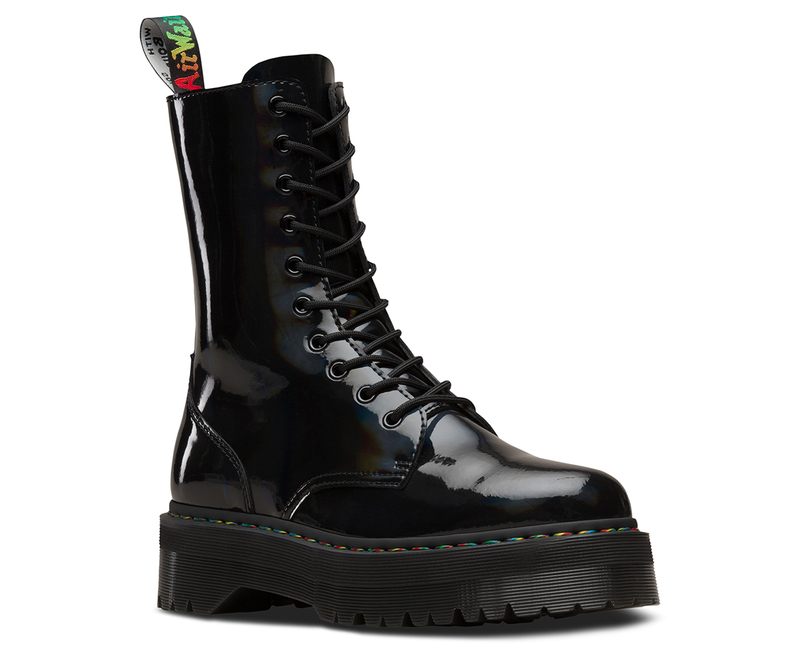 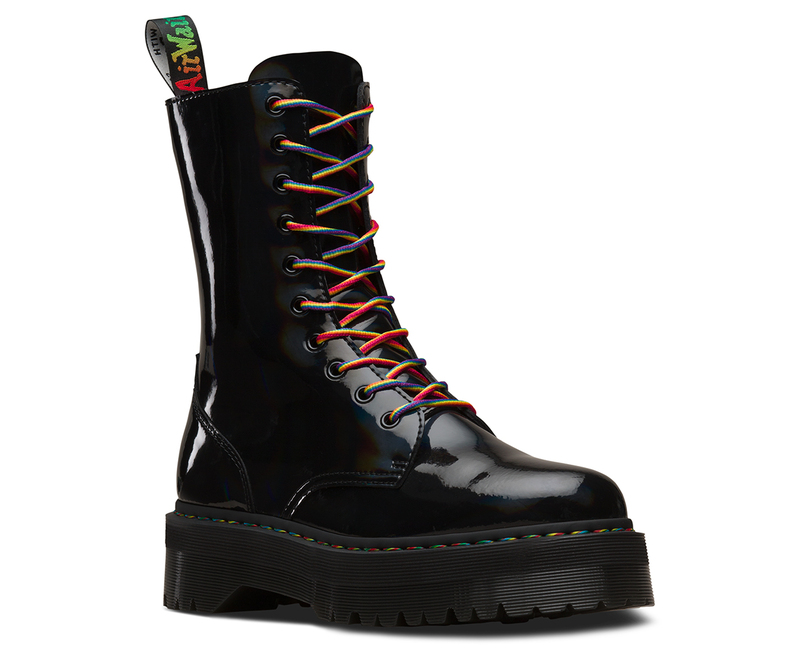 This pair is built using a unique black leather that reflects an iridescent rainbow light. 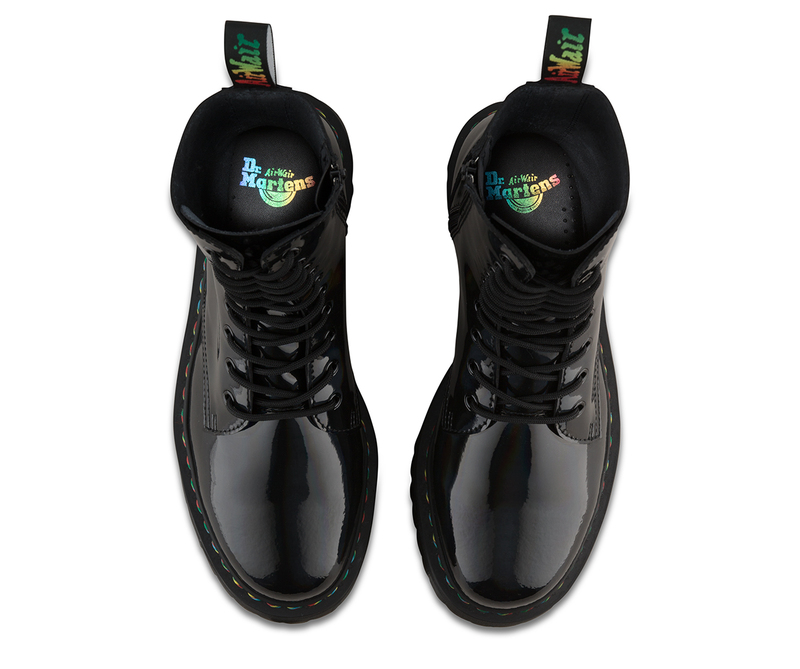 Wear these, and you'll be wearing the party. 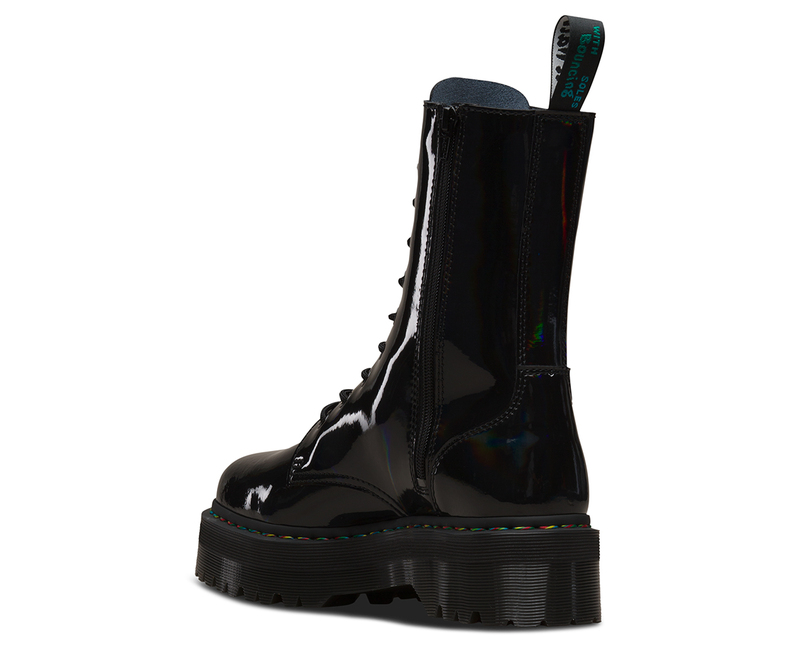 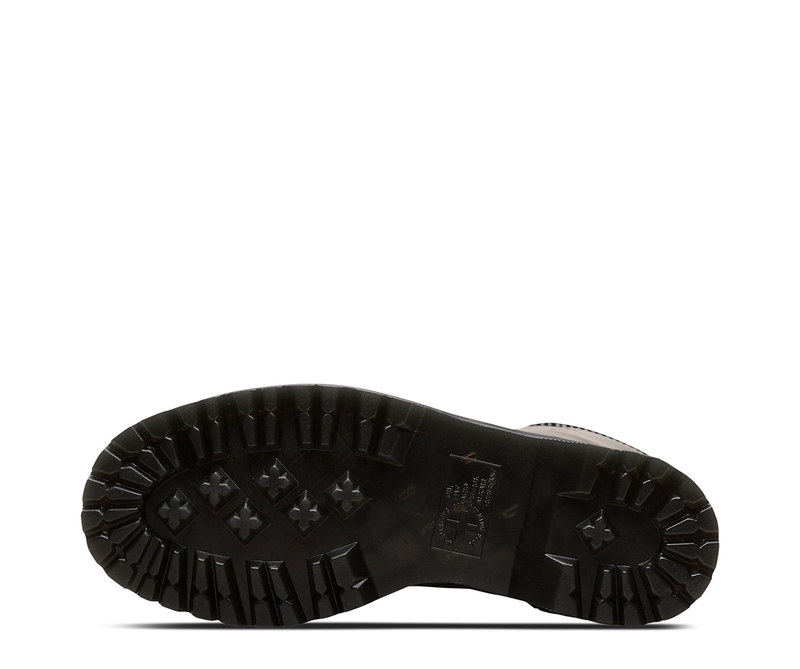 Platform height is 1.5"", and heel height is 2""